Niko is a 43 years old pastor in Djurovo - a Roma village in Bulgaria. I got to know him during my social work with a family in the village. I have visited the church he serves in and I know how devoted he is. As he serves in a very poor region and there is no church building, the services are in his own house. He also preaches the gospel in the near villages as a volunteer. God is blessing his work and more people аre confessing Jesus. Half a year ago he experienced a kidney pain for the first time. Three months later the doctors diagnosed him with nephropathy, hypertonic heart, upper extremity embolism and thrombosis. 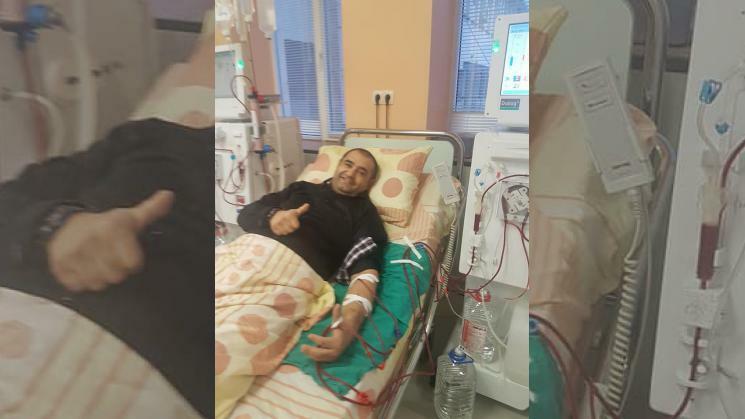 At the moment he is on a dialysis treatment and he needs a kidney transplantation. There is an opportunity for a transplantation in Turkey. In order Turkish doctors to run the compatibility tests this amount is needed. 1. Pray for him and his family. Let God heal him so he could be able to serve his family and neighbors again. Amen! 2. Donate. Even a small amount added will make a difference. You can donate through this campaign or you can donate through Global Network’s website (www.globalimpactnetwork.org), which is a partner in this campaign. Upon clicking “Donate”, please choose “Niko’s Medical Fund” from the drop-down menu on the website.